2. Sahoo, N., Gu, M., Zhang, X., Raval, N., Yang, J., Bekier, M., Calvo, R.,Patnaik, S., Wang, W., King, G., Samie, M., Gao, Q., Sahoo, S., Sundaresan, S., Kelly, T., Wang, Y., Marugan, J., Ferrer, M., Samuelson, L., Merchant, J., and Xu, H. (2017).Gastric Acid Secretion from Parietal Cells Is Mediated by a Ca2+ Efflux Channel in the Tubulovesicle. Dev Cell. 2017 May 8;41(3):262-273.e6. 4. Li X, Rydzewski N, Hider A, Zhang Z, Yang J, Wang W, Cheng X, and Xu H (2016). A molecular mechanism to regulate lysosome motility for lysosome positioning and tubulation.Nat Cell Biol. 2016 Apr;18(4):404-17. doi: 10.1038/ncb3324. 5. Wang W*, Gao Q*, Yang M, Zhang X, Yu L, Lawas M, Li X, Bryant-Genevier M, Southall NT, Marugan J, Ferrer M, Xu H (2015). Up-regulation of lysosomal TRPML1 channels is essential for lysosomal adaptation to nutrient starvation. Proc Natl AcadSci USA. 112(11): E1373-81. doi: 10.1073. 6. Medina L.M, Di Paola S, Peluso I, Armani A, De Stefani D, Ventiti R, Montefusco S, Scotto-Rosata A, Presioso C, Forrester A, Settermbre C, Wang W, Gao Q, Xu H, Sandri M, Rizzuto R., De Matteis M, and Ballabio (2015). 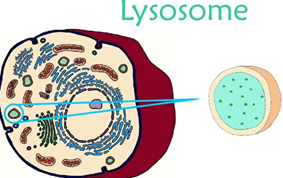 Lysosomal calcium signaling regulates autophagy. Nat. Cell. Biol.17(3):288-299. doi: 10.1038/ncb3114. 8. Wang W, El Hiani Y, Rubaiy HN, Linsdell P (2014). Relative contribution of different transmembrane segments to the CFTR chloride channel pore. Pfl&uuml;gersArchiv- European Journal of Physiology 466:477–490 doi: 10.1007/s00424-013-1317-x. 9. Wang W, Gao Q, Zhang X, and Xu H (2013). 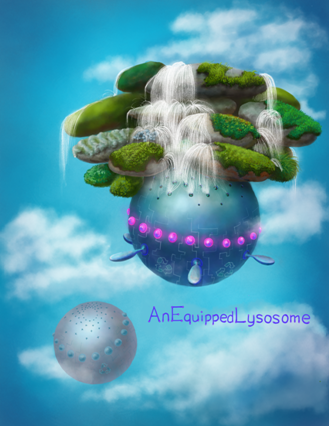 TRPML1: an ion channel in the Lysosome.HandbExpPharmacol. 222:631-45. doi: 10.1007/978-3-642-54215-2_24 (Book chapter). 10. Wang W, Linsdell P (2012). Relative movements of transmembrane regions at the outer mouth of the cystic fibrosis transmembrane conductance regulator during channel gating. J BiolChem 287 (38):32136-46. 11. Wang W, Linsdell P (2012). Alternating access to the transmembrane domain of the ATP-binding cassette protein cystic fibrosis transmembrane conductance regulator (ABCC7). J BiolChem 287 (13):10156-65. 12. Wang W, Linsdell P (2012). Conformational change opening the CFTR chloride channel pore coupled to ATP-dependent gating. Biochimica et BiophysicaActa-Biomembranes 1818 (3):851-60. 13. Wang W, EI Hiani, Y, and Linsdell P (2011). Alignment of transmembrane regions in the cystic fibrosis transmembrane conductance regulator chloride channel pore. J. Gen. Physiol. 138: 165-178. 14. Wang WY, Hao LY, Minobe E, Saud ZA, Han DY, Kameyama M (2009). CaMKII phosphorylates a threonine residue in the C-terminal tail of Cav1.2 Ca2+ channel and modulates the interaction of the channel with calmodulin. J PhysiolSci 59(4):283-90.